Zumo 590LM - individual wires? Discussion in 'Mapping & Navigation' started by MirthfulThylacinator, Sep 13, 2018.
so I pounced and scored a used 590lm for a good price via ebay. Came with Touratech Mount & locking cradle, very nice. Installed & wired it up - works great! However, previous owner received it in that state with the used bike he bought, guess the previous previous owner (installer) was a purist of sorts ... gave everything the snip except power ... so I was wondering if anyone could tell me which colour/pair of these wires would normally feed audio-out port? PS: what would the shielded pair of wires be for? I don't have a wiring diagram, but the pins for a 660 mount has matched my 590 mount so far. 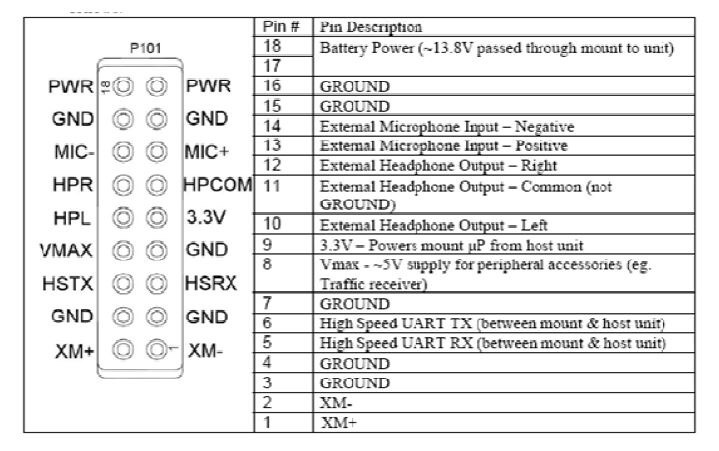 With a VOM you should be able to identify the wires you need on pins 10, 11 and 12. Or take the back off the mount to check the wire colors.